That's the often flippant remark my dear, sweet 17-year old daughter says after I've told her some semi-mundane story. Admittedly, the comment usually follows a tale about going to the dry cleaners or the price of a head of lettuce, but that's her response. And, lately, I say it as well. She tells me about her little sister borrowing some item of clothing and how annoying that is and I respond with, "Cool story, bro." It's actually a great diffuser of situations and maybe makes us realize how thankfully mundane some of our "problems" are. Recently though I've come to view the phrase in a different, more positive, life-affirming light. And I think a recent project has been the reason for the turnaround in how I interpret, "Cool story, bro." 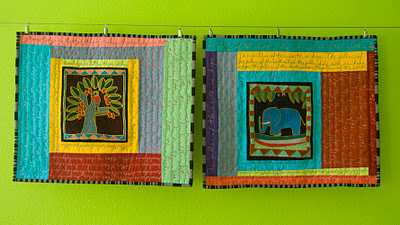 Several months ago I designed a project for the current and inaugural issue of Stitch Gifts. 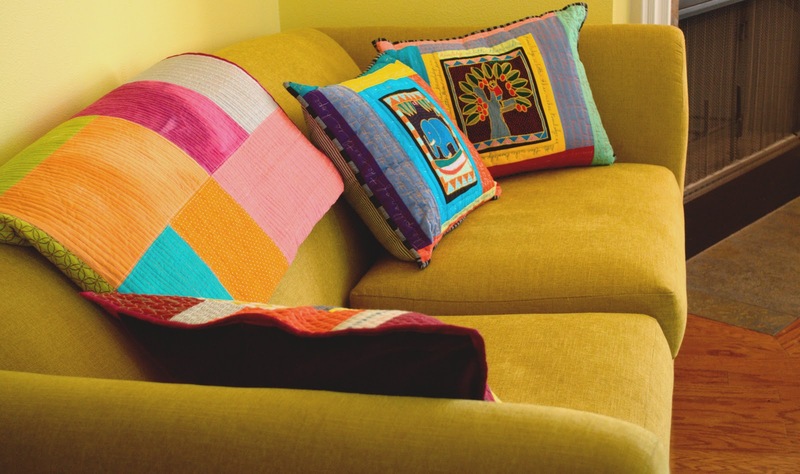 My project is a pair of pillows that I titled "Story Pillows". Actually, I think I originally titled them "Our Story Pillows", but somehow the our got dropped. Anyway, the pillows were inspired by a pair of embroideries that I purchased at Quilt Festival two years previous. The embroidered panels were crafted by a cooperative of women in South Africa and can be purchased online here. The embroideries give these women a chance to express their creativity, tell their story, as well as earn money for their families. It seemed amazingly appropriate for a publication that promotes gift-making during a holiday season that's also about helping others to design a project that encompassed both values. The embroideries were so beautiful and compelling on their own that I was stumped for quite a while as to how to incorporate them into a project. Eventually I decided to make them the focal points of these pillows and surround them in a loose log-cabin style series of strips. 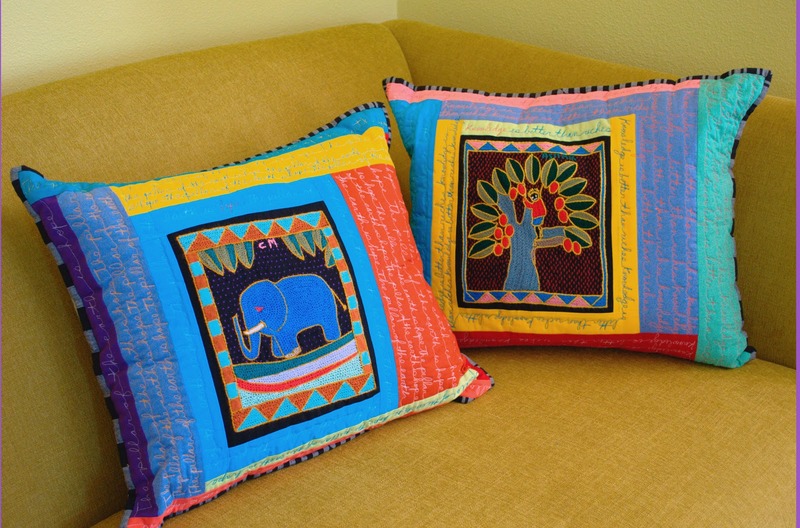 I wanted, however, to add some text to the pillows because I felt that the embroideries had more of an overt story to tell and that it would be obscured by pretty pictures and colors. So, I went on the internet and found two African sayings that I felt rung true to the spirit in which these embroideries were made. The two proverbs were: "The Pillar of the Earth is Hope and "Knowledge is Better than Riches". How beautiful and deeply meaningful are those ideals? 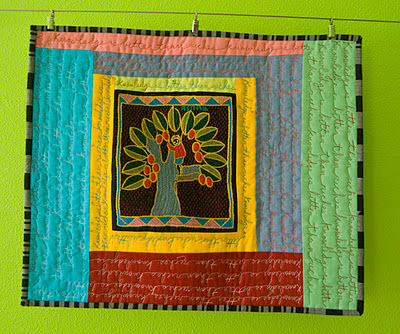 Using my favorite transfer paper, I wrote both phrases on my fabric and free-motion machine quilted the text, then crafted both quilted tops into pillows with zippered backings. Now that the magazine is out on the stands, the original pillows have made their way back to me and I think they look perfect on my couch. Pretty cool story, huh, bro? I have a handful of small embroidered squares that I picked up in Mexico a few years ago and have never come up with a decent project. Somehow I never thought of setting them into pillows like this. Thanks! What a great idea. I've had some screen printed aboriginal designs that have been waiting for an idea like this for many years. Thank you. You have the greatest ideas. 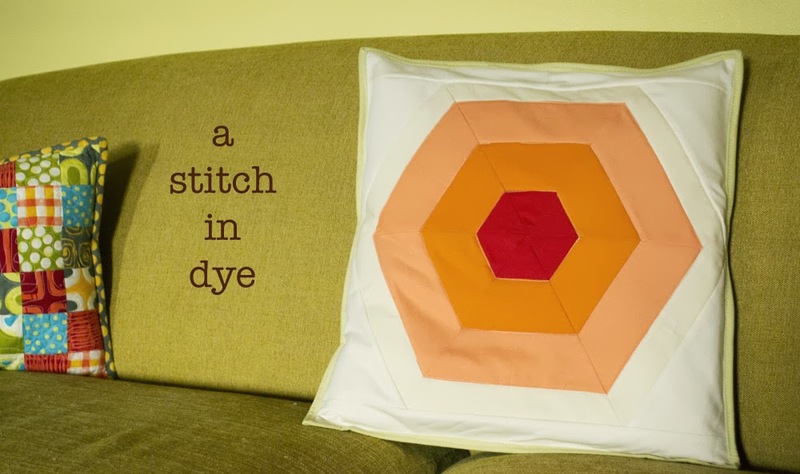 I went right to the site and ordered three embroideries and am going to try this at home. I've never transferred anything. Definitely a cool story, bro. 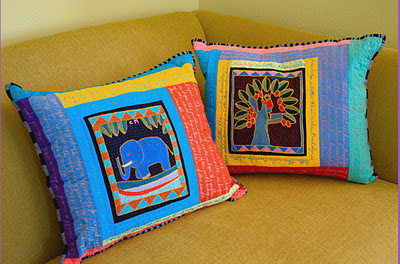 But joking aside I love these pillows and you've inspired me to do something similar with an embroidery panel I picked up from a local artisan at a market in Guatemala. I'm always collecting stuff like this in my travels and never put it to good use. 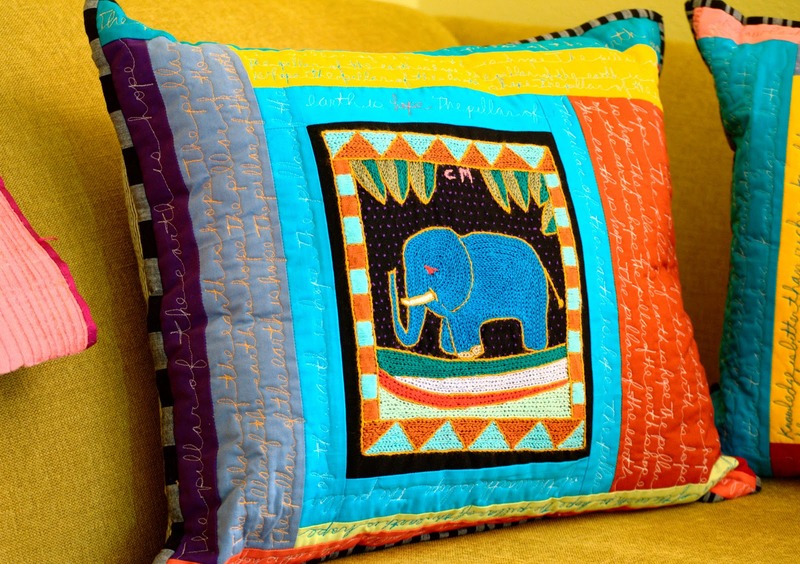 Fabulous pillow! 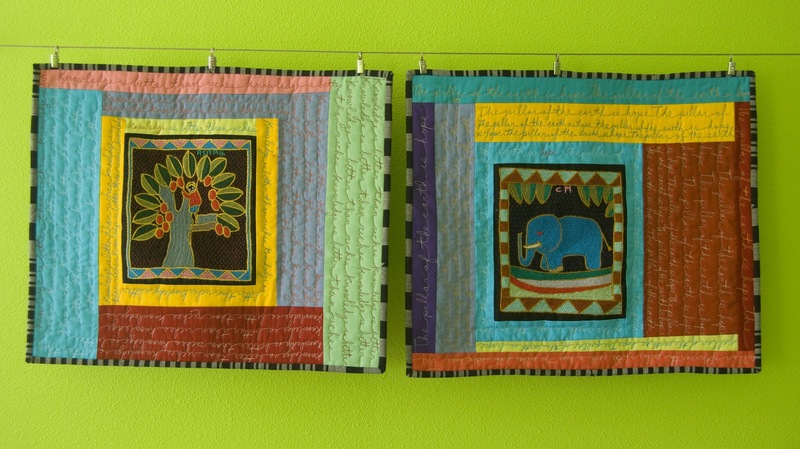 I especially love the way you quilted the African quotes into them. Very cool. Story and pillows. Cool story, bro!!! And wonderful, bright,fun, cheery pillows. Oh, your pillows are sooo "cool". 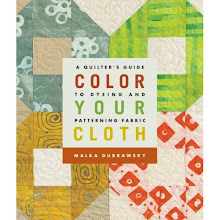 The embroideries, colors, and design are perfect. The writing on fabric looks great--it doesn't overpower. Fab! Big love for this idea.